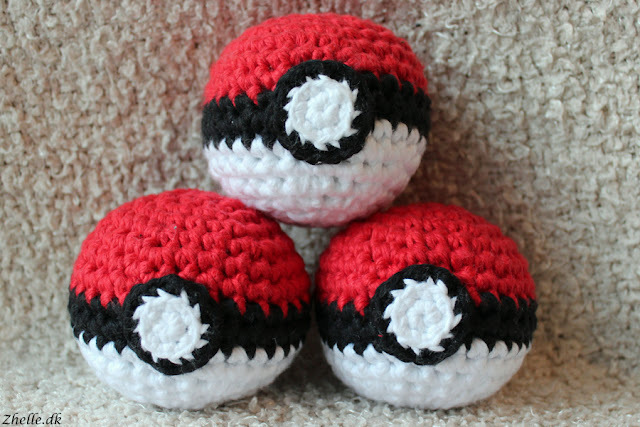 Zhelle.Dk: FO Friday: A trio of pokeballs! FO Friday: A trio of pokeballs! Today I'd like to show you a few more pokeballs. 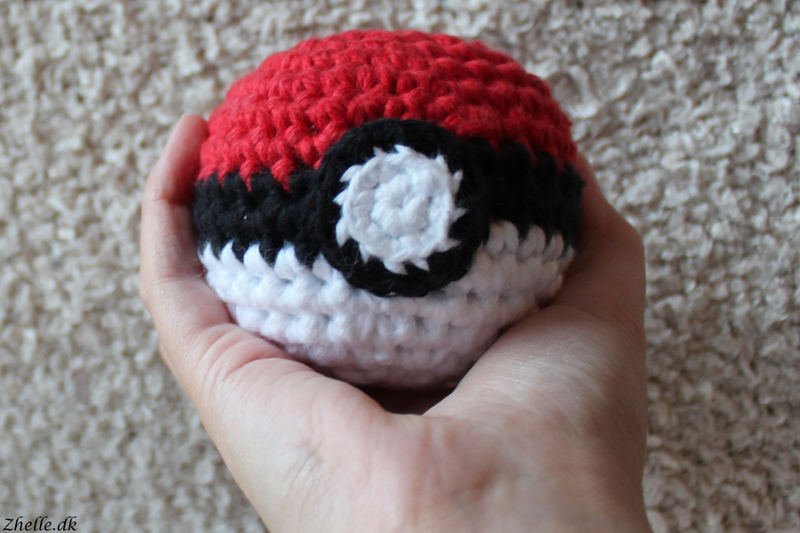 When I took some of the first pokeballs with me to work, I immediately got three people wanting to order one. I didn't want to sell things that I am not happy with, so I made a few, ironing out errors, until I finally felt I mastered the amigurumi techniques.